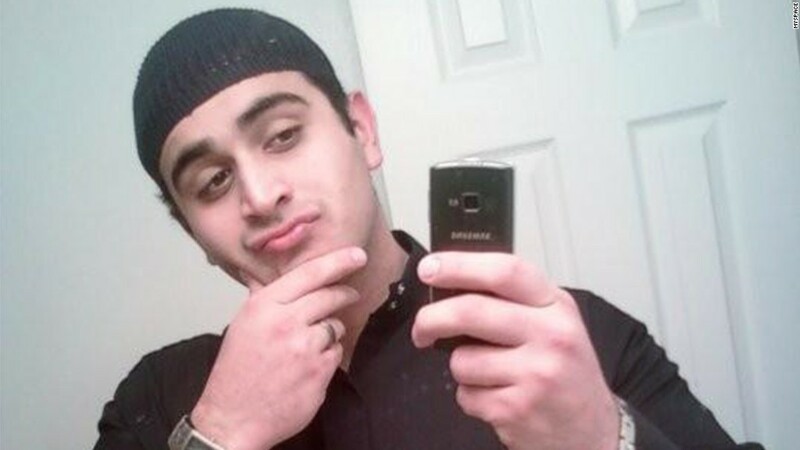 Omar Mateen, who carried out the worst mass shooting in U.S. history, worked since 2007 as a security officer at one of the world's largest private security companies, which says he was cleared twice by internal background checks. "We are cooperating fully with all law enforcement authorities, including the FBI, as they conduct their investigations," G4S Secure Solutions said in a statement. "Our thoughts and prayers remain with the victims of this unspeakable tragedy, and their friends and families." Mateen, 29, killed 49 people and injured dozens more at a gay club in Orlando, Florida, early Sunday morning. The earlier toll of 50, released by officials, had included the gunman. G4S said that Mateen started working there in September 2007, and that the company ran a background check before it hired him that "revealed nothing of concern." According to a company spokesman, the check included a criminal record check, prior employment check, education check, social security check, credit report check, drivers license record check, drug test and work references. It also administered an assessment called the security officer profile, which G4S says is meant to determine an individual's potential as a security officer. Florida state records show that Mateen was a licensed security officer. The background check also included a psychological evaluation, according to G4S. Specifically, the company gave him something called the MMPI -- Minnesota Multiphasic Personality Inventory Test -- which the company describes as an "in-depth, industry-standard test." A G4S spokesman said Mateen filed a complaint at some point with superiors about being harassed at work. The company has no record of employees complaining about him. He said there are no reprimands in Mateen's personnel file. In early 2013 the St. Lucie County sheriff's office became aware of "inflammatory comments" made by Mateen while he was working for G4S at the county courthouse, according to a statement from Sheriff Ken Mascara. He said the courthouse supervisor asked that Mateen be transferred and he was immediately. Mascara said his office notified federal officials. "It was at this time that the FBI began an investigation into Mateen that was later deemed inconclusive," he said. G4S said it learned from Mateen that he had been questioned by the FBI, "but that the inquiries were subsequently closed." G4S screened him again that year, but turned up "no findings." "We were not made aware of any alleged connections between Mateen and terrorist activities, and were unaware of any further FBI investigations," G4S said. The FBI says it interviewed Mateen in 2013 and 2014. "Those interviews turned out to be inconclusive, so there was nothing to keep the investigation going," FBI Assistant Special Agent in Charge Ronald Hopper said. Mateen worked at a gated retirement community in South Florida, according to G4S, which said he was "well known and liked by the residential community." Mateen, who was shot and killed by police, claimed allegiance to ISIS in a phone call to authorities around the time he carried out the "organized and well-prepared" attack, Orlando Police Chief John Mina said. G4S is a U.K.-based firm with more than 600,000 employees worldwide and operations in more than 100 countries. It employs some 50,000 people in the U.S. -- more than any single police department in the nation. The company provides security guards, technology and other services at locations including federal buildings, nuclear power plants and U.S. airports. Its customers also include businesses in mining, finance and retail. G4S has annual revenue of £7.4 billion, or $10.5 billion. Sunday's shooting in Orlando isn't the first time a G4S employee has been involved in a violent incident. In one high-profile case, British G4S employee Daniel Fitzsimons was charged with murder in the 2009 shooting deaths of two colleagues in Baghdad, and later sentenced to life in prison in Iraq. In another case, a G4S security guard was sentenced to 20 years in prison for beating a woman to death with a fire extinguisher while he was on the job, according to Scottish court documents. He admitted to killing the woman, but he claimed a personality disorder as a defense. Additionally, three G4S guards were held responsible for the death of Jimmy Kelenda Mubenga, an Angolan national who was being deported from the U.K., according to a coroner's report. Mubenga died while being restrained on a plane at London's Gatwick Airport. G4S did not respond to numerous requests for comments on these cases. -- Jethro Mullen and Jackie Wattles contributed to this report.